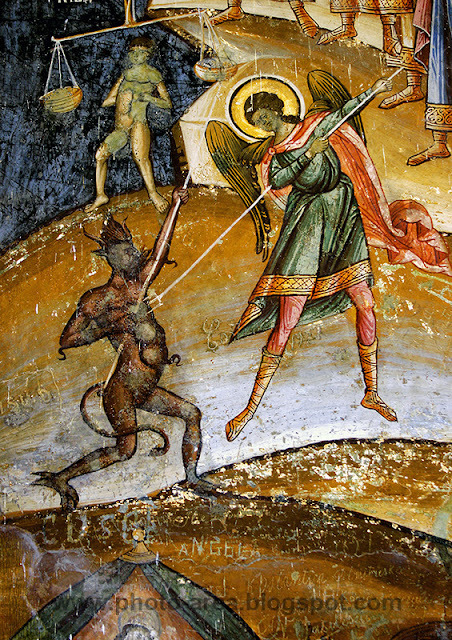 This is a detail from a religious painting depicting the fight between good and evil. The painting is located at the orthodox Cozia Monastery, Valcea county, Romania. The monastery was built between 1387-1391 by the ruler Mircea cel Batran (he was buried here). The first painting dates from 1390-1391, but very little still remains from that original fresco.